Decorate your laptop with the iconic stencil design by famous street artist, Banksy. 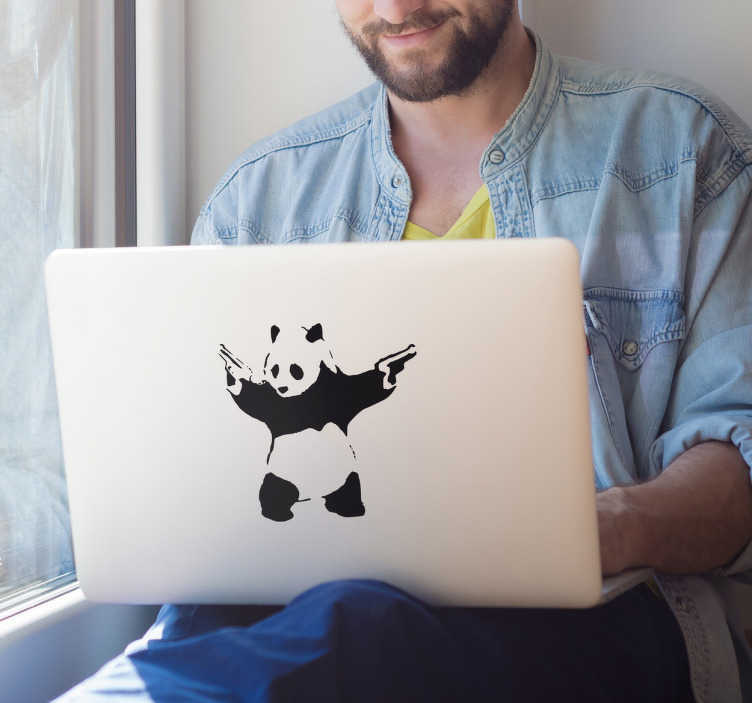 This monochrome laptop sticker shows a panda wielding two pistols, based on the phrase "a panda eats, shoots and leaves". This animal sticker is available in various sizes so you can personalise your device the way you want with this bear and two guns.